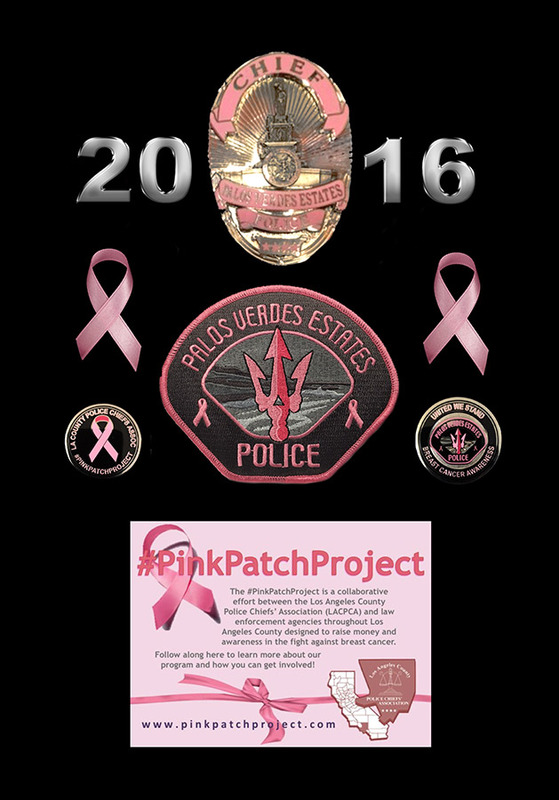 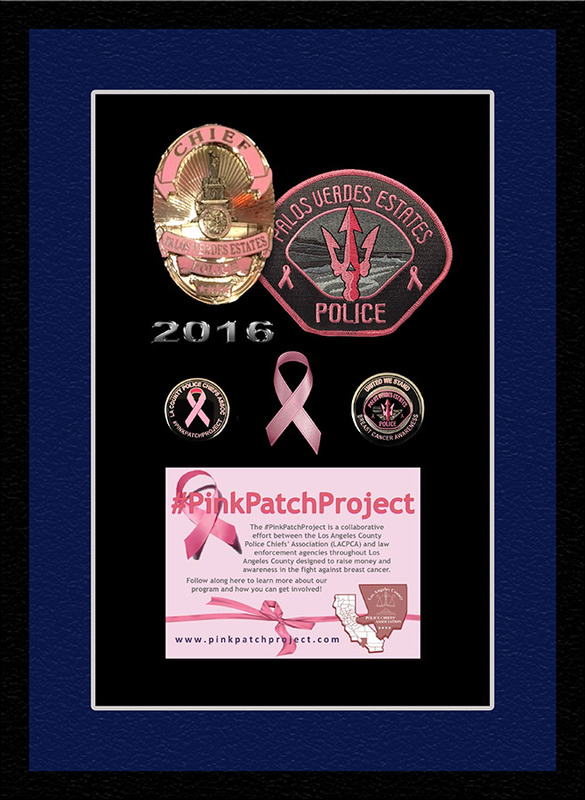 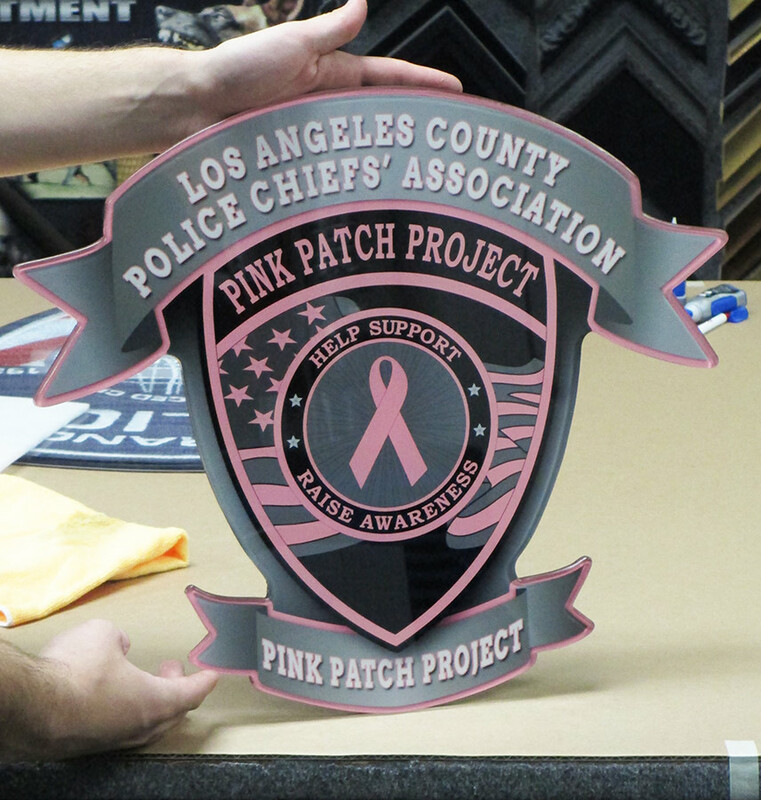 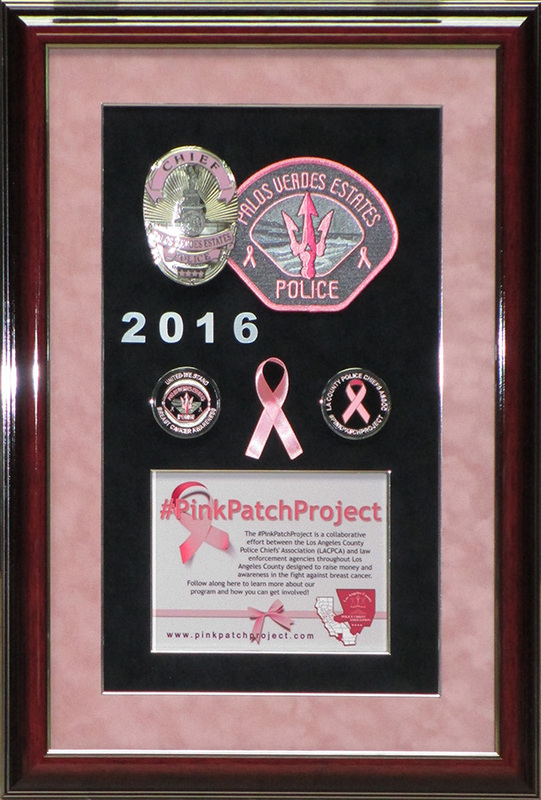 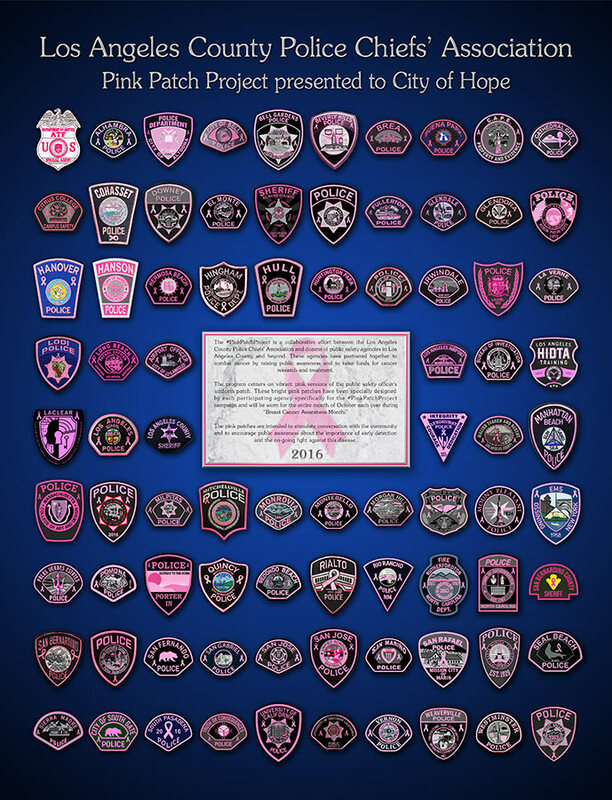 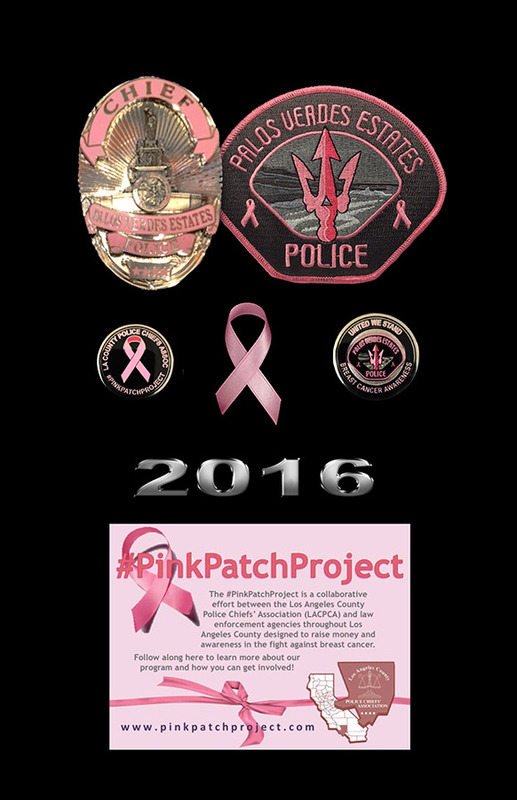 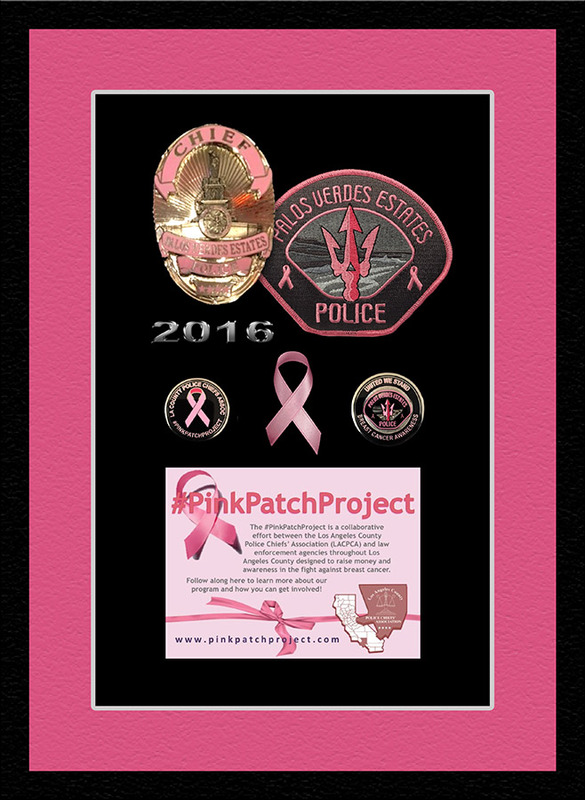 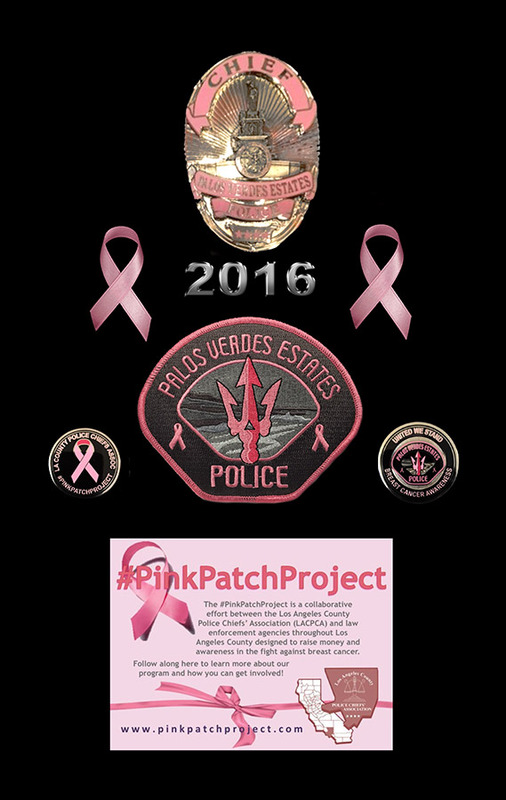 The Pink Patch Project has taken off this year and only will increase in popularity. 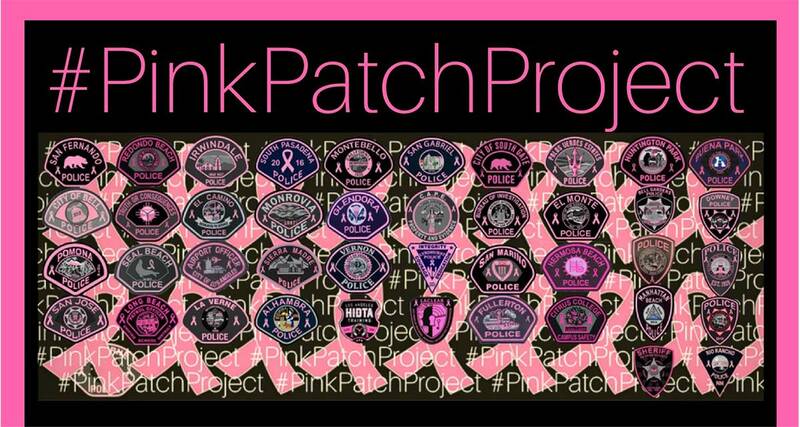 amounts of patches. 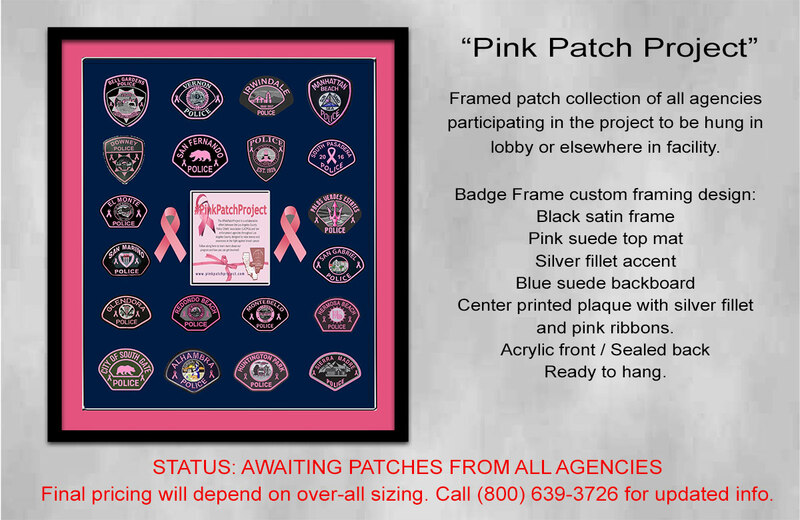 Below are some of the designs we have worked on. 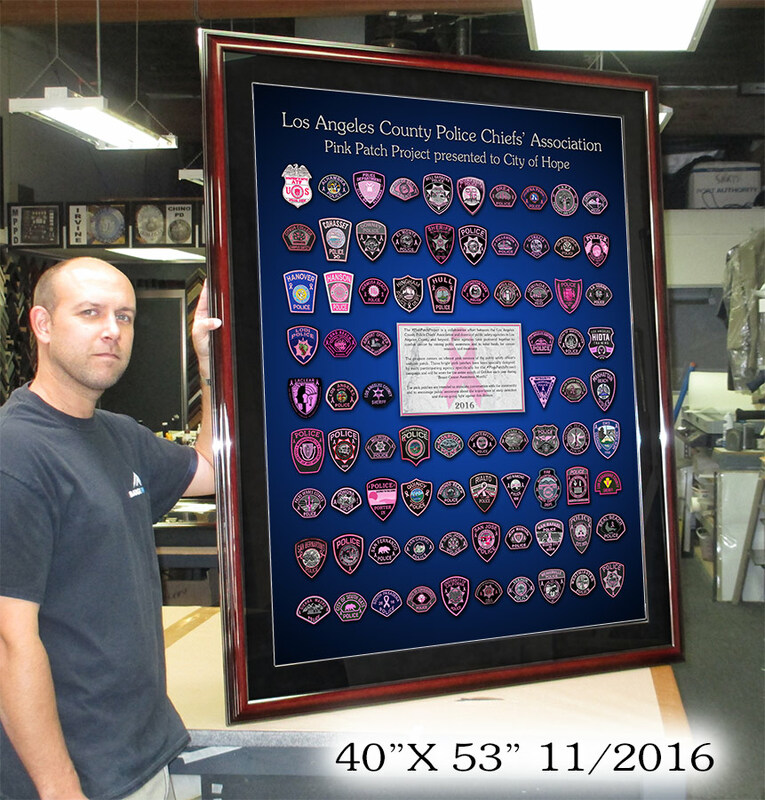 if wall space if an issue. 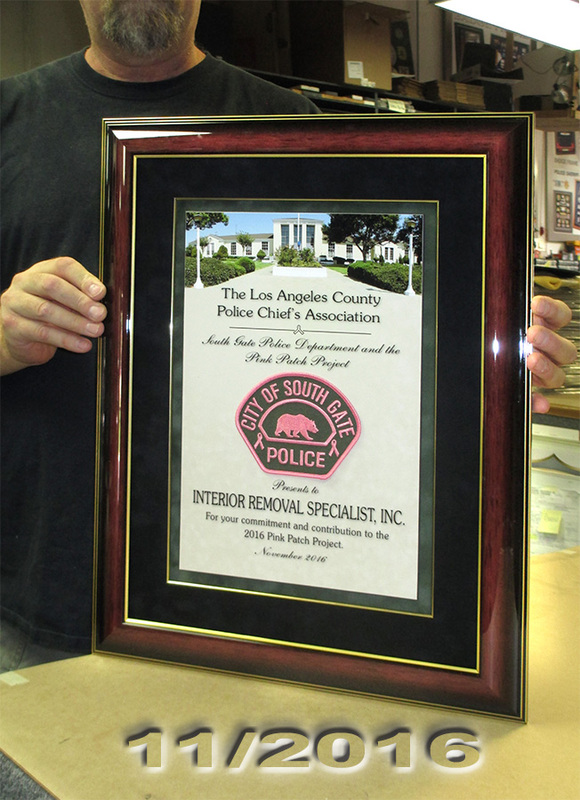 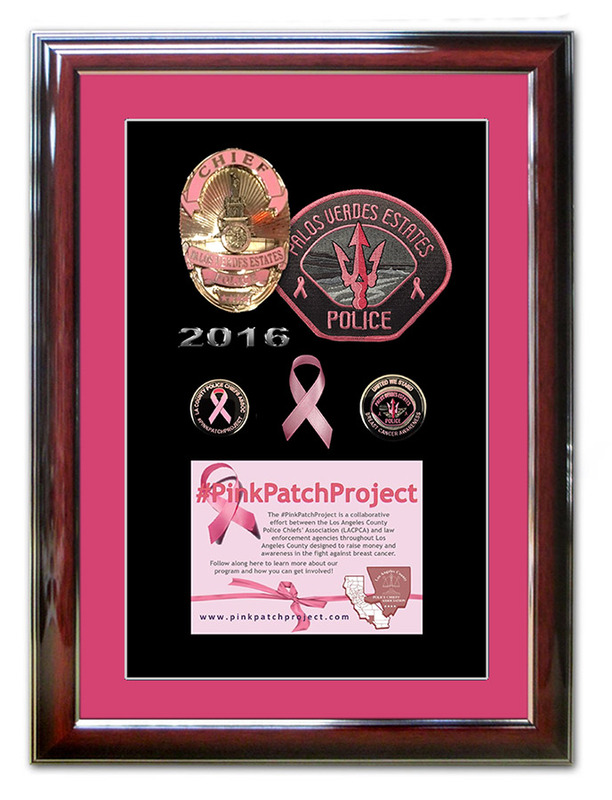 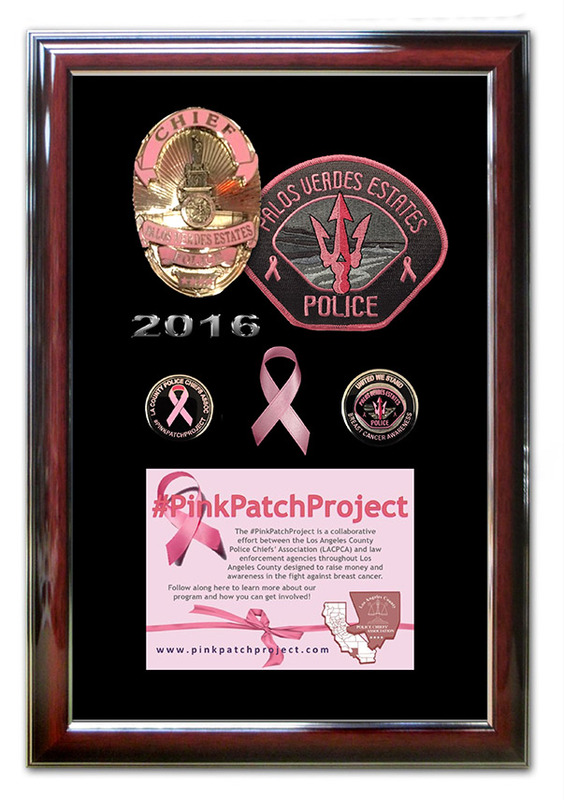 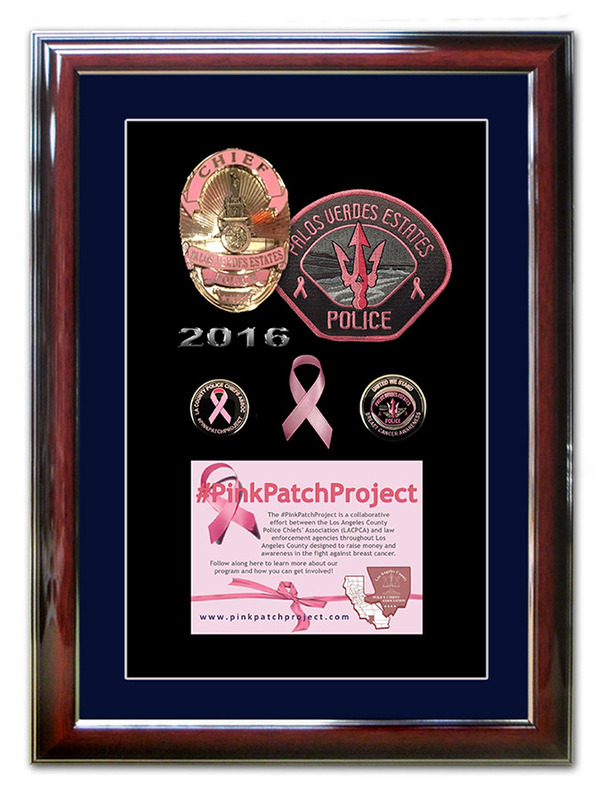 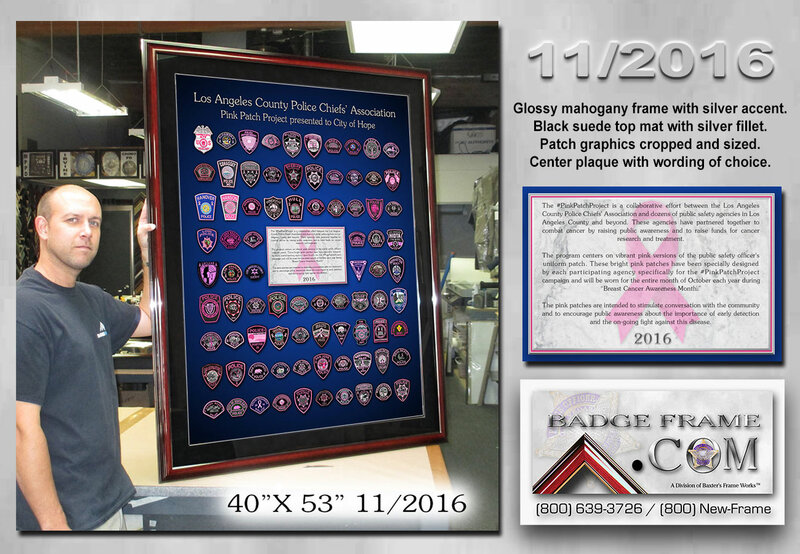 Badge Frame can be reached at (800) 639-3726 for the latest updates on this project. 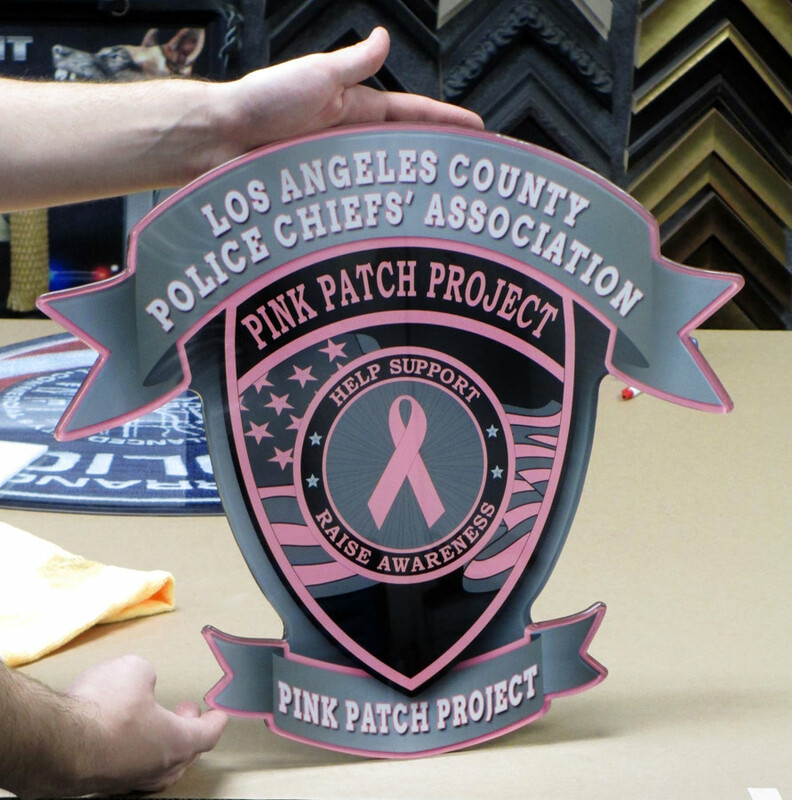 Black Leather Frame with pink or blue suede mats and silver accent fillet. 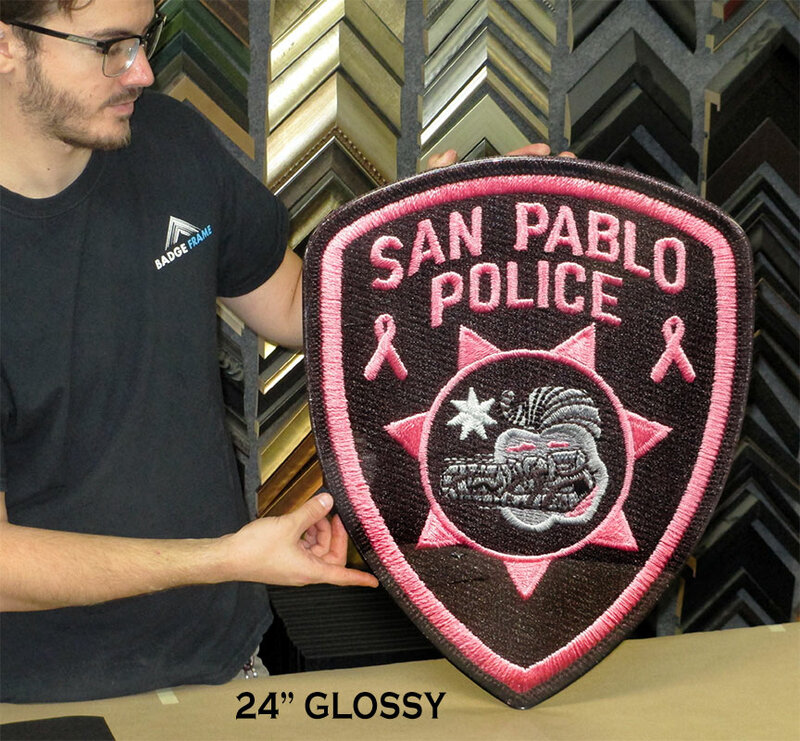 Can use with or without badge.